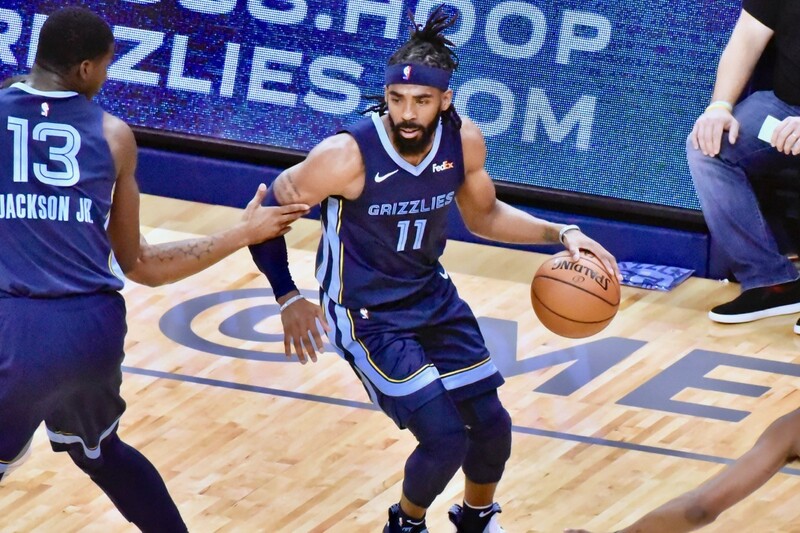 The Memphis Grizzlies entered Tuesday night's homestand on a two-game losing streak, and faced the top team in the East in the Toronto Raptors. After a brief stint at the top of the West, Memphis has hit a rough patch, having trouble closing out close games and giving up sizeable leads. The Grizzlies had an abysmal start to the game. Jaren Jackson picked up two fouls in the first minute of play, and took an early seat on the bench. Meanwhile, the Raptors jumped out to an 8-0 lead. The Grizzlies defense eventually settled in, slowing down the game and allowing the Grizzlies to battle back to take the lead with 4:13 remaining in the first period. Both teams got it going later in the first quarter, with the Grizzlies finishing with a 1-point lead over the Raptors at 32-31. The Grizzlies's defense on Kawhi Leonard was particularly strong to start the game, holding him to 4 points on 2-5 shooting, and no assists. Overall, team defense played a big part,.I n his pregame availability J.B. Bickerstaff talked about how the Grizzlies would throw a lot of bodies at Leonard. Kyle Anderson's effect cannot be diminished, however, as he played fantastic individual defense on Leonard. The Grizzlies continued their surprisingly high level of scoring in the second quarter, finishing with 39 points. Mike Conley also had a nice block on Kyle Lowry at the buzzer that left the home crowd on their feet heading into halftime. Marc Gasol led all players in the first half with 15 points, dished three assists, and played with a great rhythm on both ends of the floor (shooting 6-9 and registering 2 steals). Garrett Temple also had an impact with 12 points and two made threes. Overall team defense was stout in the first half, accumulating tons of deflections, 7 steals, and making it difficult for Toronto to get into their offensive sets. The Grizzlies went into halftime with a 71-59 cushion over the Raptors, and extended the lead to 17 early in the third. On the first possession out of the half, Conley and Gasol executed a brilliant two-man game that was essentially a give-and-go vortex with both players swirling around one another's screens and cuts, resulting in both defenders following Conley's drive into the paint before he kicked the rock back to Gasol for an open three-point make. But the Raptors battled back to cut the Grizzlies lead to one point, as Memphis' defense fell flat for most of the period. At one point the Raptors were shooting 11-14 in the quarter, and the Grizzlies didn't seem to get any stops, until they strung several together to end the period. The Raptors finished the third quarter shooting 11-21 from deep, and trailing the Grizzlies 97-93. The stellar defense on Leonard fell apart in the second half. He finished the third quarter with 9 points and shot 7 free throws after scoring just 5 in the first half. He finished the game with 17 points, 5 assists, 2 steals, and one turnover. Jaren Jackson picked up another couple of fouls in under a one-minute span early in the fourth quarter, and things continued to go downhill from there. Memphis has been giving up a lot of three-point looks from the corner this season. The Grizzlies have been relatively lucky, with teams not converting on those open looks at as high of a rate as they should, but they got bit in this game, as Toronto buried corner three after corner three down the stretch to put the game out of reach. The Raptors hit 7 threes in the final quarter. Conley also missed consecutive free throws in the fourth quarter. He's done that several times this season, and I can't tell if it's fatigue late in games or if it's a mental thing. In his postgame press conference, Bickerstaff said the Grizzlies got rushed as the Raptors dialed up the defensive intensity, forcing Memphis to play at a pace too fast for its comfort. 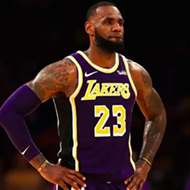 He also characterized the open three-point looks granted to Toronto in the corner as non-structural, saying "there were some errors we made to create those situations. We're not trying to give up corner threes by any means." Still, this has been a problem pretty much all season, and tonight was the first time the Grizzlies paid for it. It probably won't be the last. Marc Gasol rolled his ankle late in the game, finishing with a noticeable limp. Fortunately, his injury appears to be a day-to-day thing. In the locker room after the game, JaMychal Green (13 points, 7 rebounds) said: "We just got to bounce back. Ain't no excuse. We just got to come in, play hard, and when it gets down to crunch time, lock up." The Grizzlies will have two days of rest before they travel to Brooklyn on Friday to play the Nets.